I don’t know about you, but I’ve noticed the price of makeup seems to be going up. A lot. And pretty damn fast. Brands that used to be regarded as ‘medium range’, such as MAC have now started charging £15 for a standard lipstick, and during some research for high end mascaras, I nearly fell off my chair when I realised it was hard to find anything that fit into the £20 and under category that didn’t come from the high street. YSL, Dior, Lancome – these all come in at nearly £25 each. Even high street brands are putting their prices up – would you pay nearly £11 for a mascara in Boots? I’m a self-confessed high end product junkie, but I’m trying to be more savvy with where I spend my money. Yes, I might spend £25 on a pot of foundation, but I know it lasts me for months and the shade is perfect. When it comes to certain products, I’m hesitant to pay over the odds – is there really much of a difference between a £3 nail polish and an £11 one? I honestly don’t think so (although don’t get me wrong, I still indulge from time to time). There are some great brands that offer fantastic quality products at good value prices - Sleek, GOSH, Bourjois, Collection to name but a few, but it worries me that the general trend is a yearly increase on some of my favourite brands. I’m going to be doing some testing to compare budget vs high end products and see how they perform. Is high end really better quality? I’d love to know your thoughts on which bargains you think I should test out, and what you’re always happy to splurge on. There are some real gems out there that need discovering! I agree, makeup is starting to get ridiculous. I think the companies are becoming more aware of how popular their products are, and are starting to get cocky. I remember when a MAC lipstick was £13 and was outraged when they started going up. It's because the companies know that people will pay for a good product. It's really annoying, and it's not like its costing them more to make (e.g. the lip pies) because they are EXACTLY the same as they always were. It's just corporate greed I'm afraid. You find the more expensive brands....spend a lot more on advertising their range and have celebrity film stars to endorse their products....which i reflected in the price! I think makeup is becoming a joke. Its all down to the demand! As girls are wearing it younger and younger, the demand is so much higher, much more than ever before! I always shop high street and mainly boots as I think their the best price. Make Up is indeed getting very expensive! To be honest I am coming to London to shop for MAC, because in Germany all products are even more expensive - can you believe that? We sell MAC Lipsticks at €20 each, which should be around 17-18 GBP. Given, I usually shop at the airport, but still. I do love Sleek though, which I think has great value for a small bargain. I do like Beauty UK aswell, as I think they have great chubby lip pencils! Luckily for UK residents is the amazing offers of Boots, who attracts with 3 for 2 offers. As in for quality - well I am sure everyone is aware that with many companies, you simply buy the brandname and not a high quality product. Don't get me wrong, I think expensive Make Up does generally offer good quality products, however there are brands as Sleek who offer the same, if not better quality for a lower and more reasonable price. I might get a lot of boo for this, but I recently went to London to visit the browbar from Beneft (which is awesome) and was offered the brow powder - however I really just the day before purchased the brow set from Sleek for GBP 10 (and actually it was cheaper, bc it was a 3for2 at Boots). Tbh I didn't really see a big difference except the price. I think in the end it's often also just the extreme hype certain brand receive, which gets them to raise prices - bc people simply will buy it. I'm with you. If a drugstore foundation is more than $10 I'm hesitant to go for it. I noticed a drugstore mascara was $13 the other day. That's outrageous. I guess it depends what your definition of value is. I go through skincare much quicker than I do cosmetics. Which, imo, is how it should be. ;) However there are brands that are treat items. For example, I treated myself to a Lancome Juicy Tube last weekend. Normally I make do just fine with Rimmel's or another less expensive brand. What you can do is look for sales and discounted offers on high end products. I love Nail Polish Direct for discounts on OPI and China Glaze, my two favourite nail polishes. Escentuals often have good buys on skincare and cosmetics too. TOTALLY agree with you, great post! It is absolutely shocking. I know that you and lots of other commenters have cited Sleek as an example of good value (which I can't deny they still are), but their prices have gone WAY up too. I remember getting my first Sleek palette in 2009 and it cost £4.87. What are they now, £8 or £9? 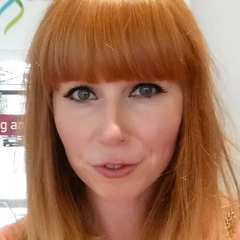 Even brands like Bourjois and L'Oreal are charging upwards of £8 for a lipstick now. Insane! And don't get me *started* on high end mascara. 1000% yes! I know you're talking about high end but there was a day when high street brands would never dream pricing anything over £7 and now mascaras are at least £10 from brands like L'oreal. It's pretty outrageous when you think minimum wage is £6.31 so some people have to work two hours just to be able to pop into Boots and buy a mascara or foundation. I know make-up is a luxury but still, working all day just so you can afford a Dior lipstick doesn't seem like a very good deal to me. Make up, like everything else, has increased in price because of the recession and yet people just aren't making enough money to keep up with inflation. I agree so much on this! im unemployed at the moment, health issues deeming me unable to work, if I need to replace a makeup item I have to ask my parents, or its just too pricy! the only time I can buy something that I want, not need is when I have extra money via birthdays/Christmas etc or something is cheap enough that I can! its mental, I know makeup isn't needed, but it makes me happy! the latest mascara from no7 is £12 something! I love brands like collection, bourjois, barry m etc whos prices are not that bad. 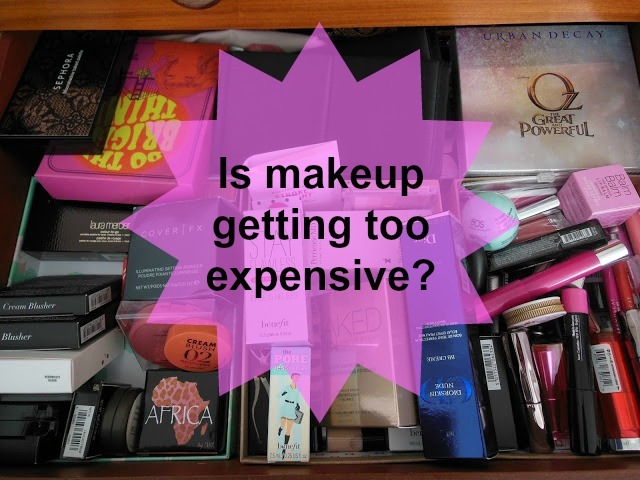 Makeup is definitely getting more expensive! If you're looking for an AMAZING cheap mascara - try the 2tru pro Flash Eyes mascara (yellow tube). It costs about £3 from Superdrug and is hands down the best mascara I've ever used. Yes, even better than Benefit or Chanel ones I've tried! The Miss Manga L'Oreal mascara is pretty good too, but I'd choose the 2tru every time. Bargain. The price of highstreet mascaras are ridiculous, luckily I really like Natural Collection mascaras, which are about £2!